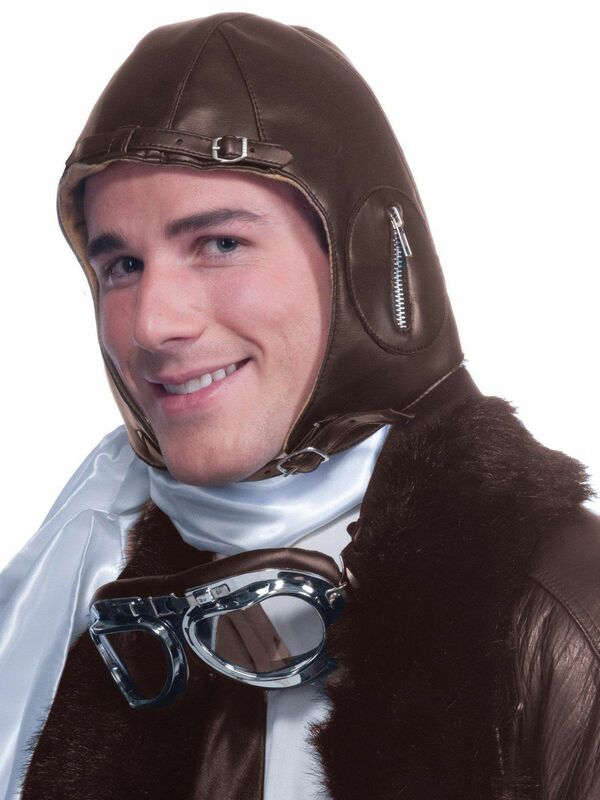 Includes a brown suede aviator hat. Goggles are not included. One-size fits most adults. 55% Cotton/45% Polyester. Care Instruction: Spot Clean Only. Air Dry.